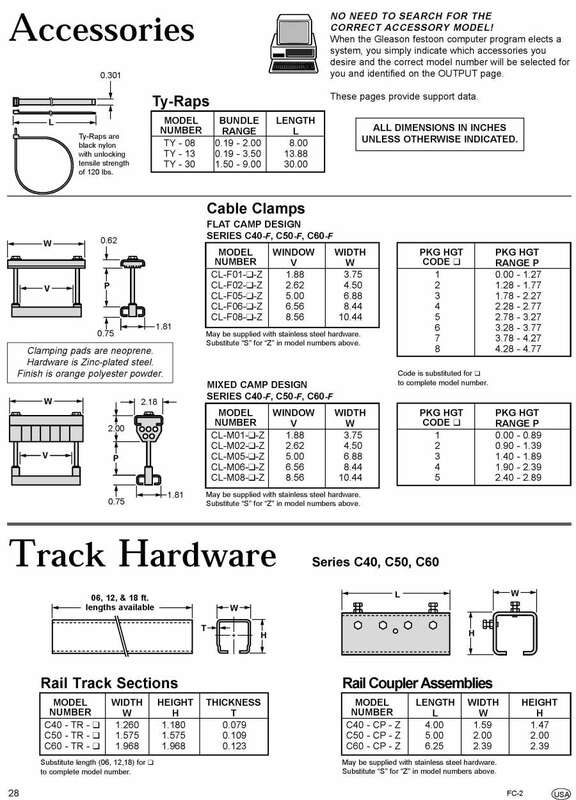 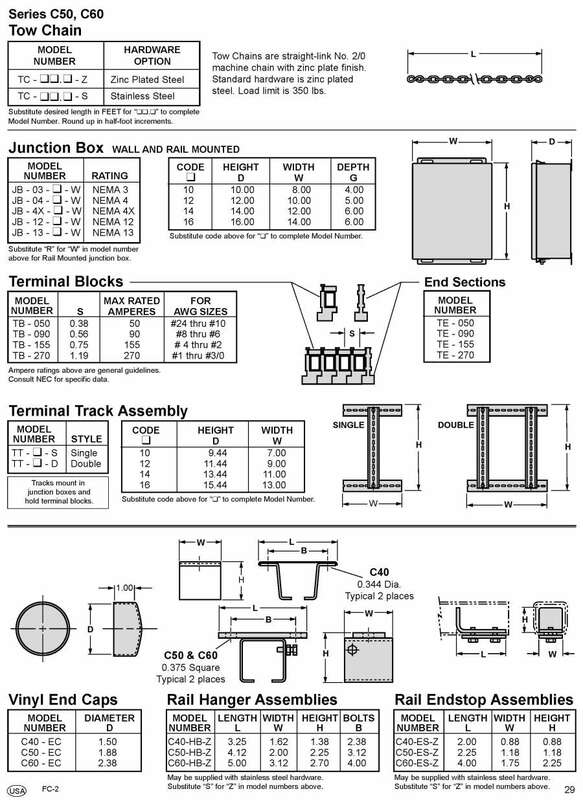 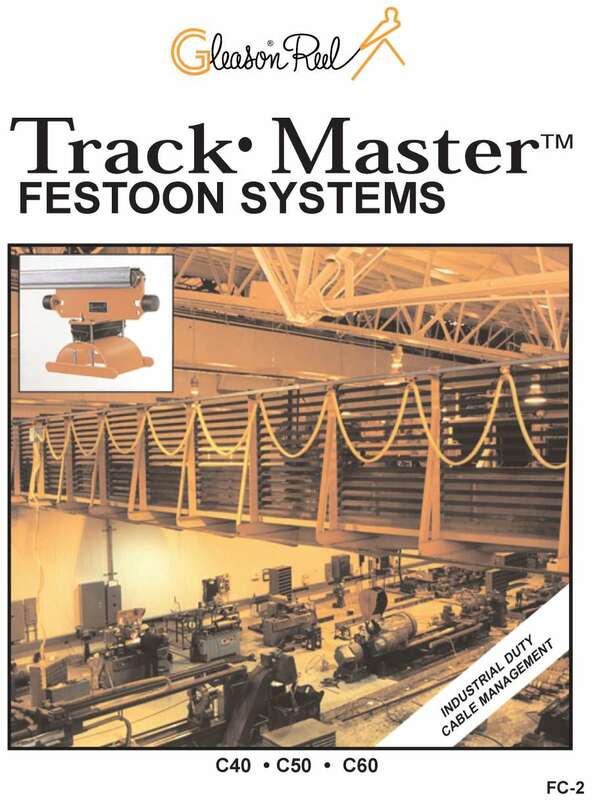 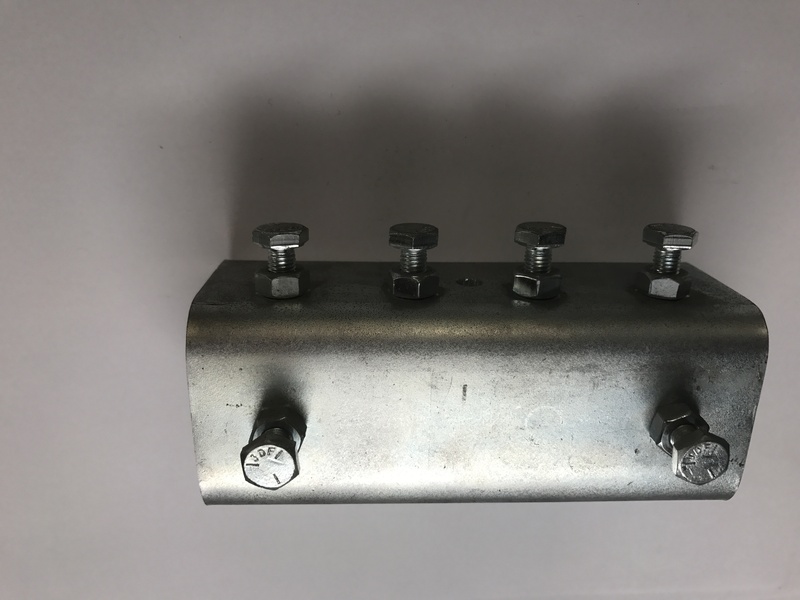 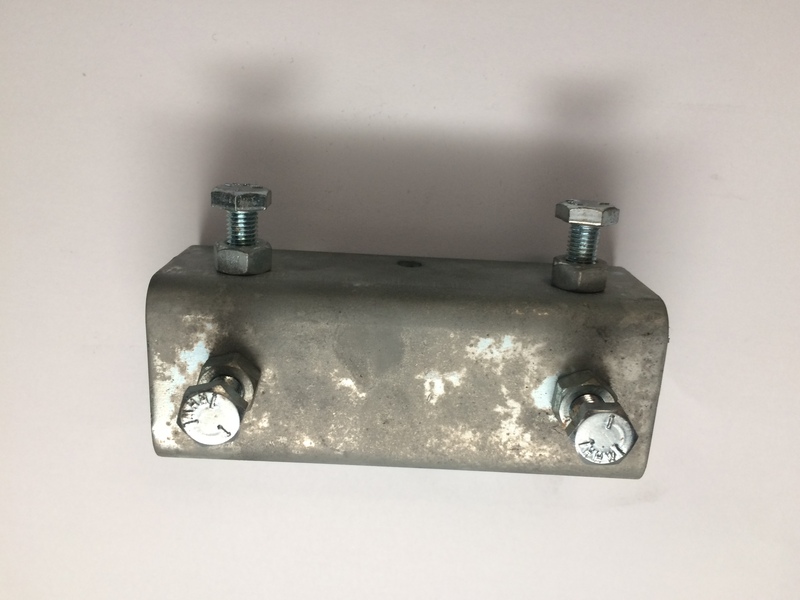 Track Master Festoon Systems are available in three sizes, and with either clips for round cables/hoses, cable clamps for flat cables, or specially designed clamps for holding a mixed load of hoses, round cables and flat cables. 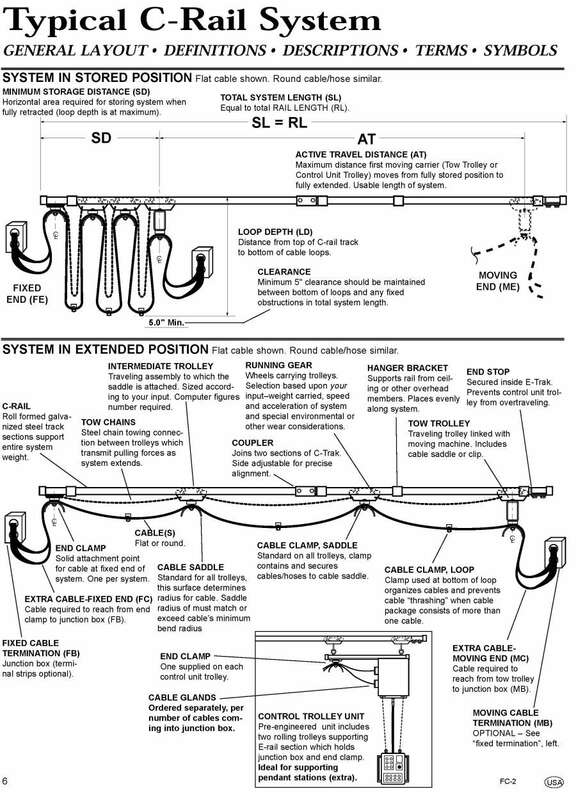 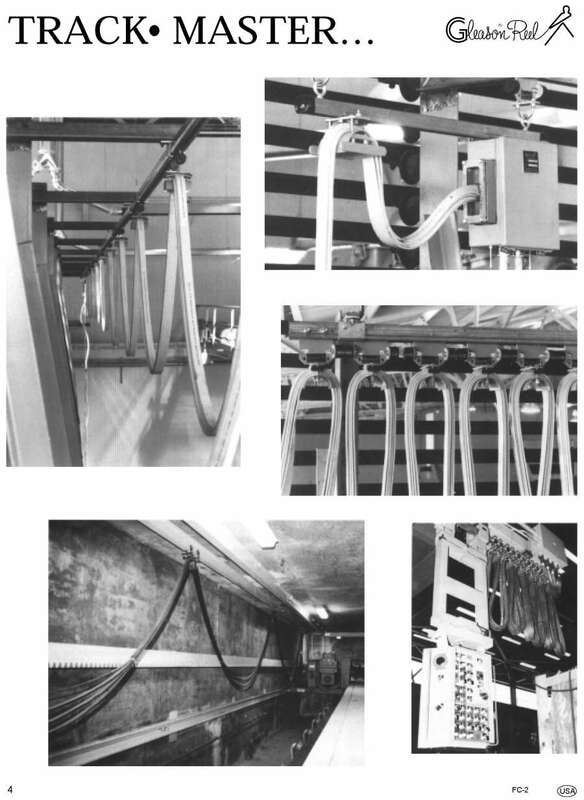 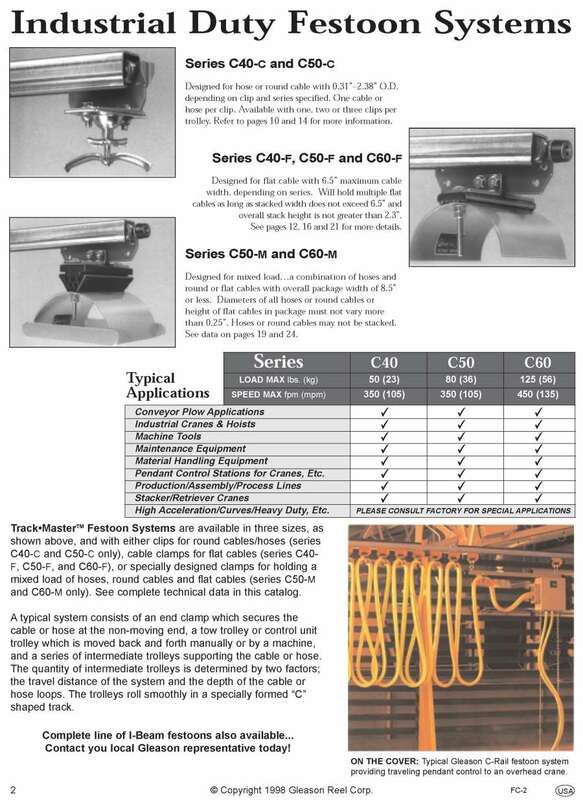 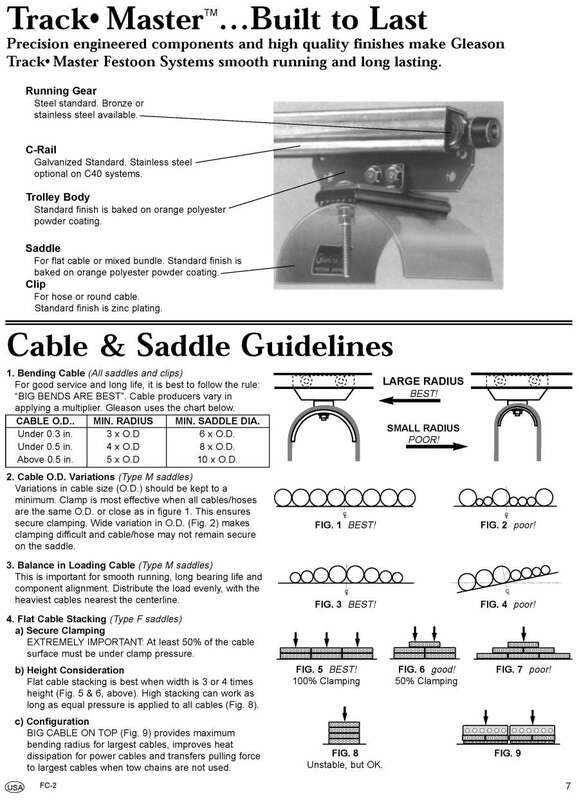 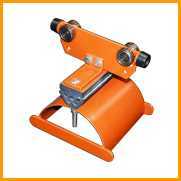 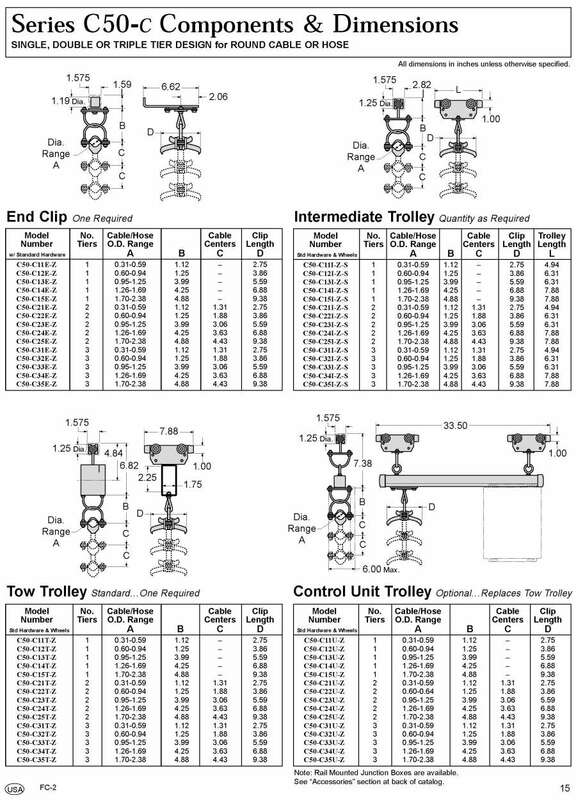 A typical system consists of an end clamp which secures the cable or hose at the non-moving end, a tow trolley or control unit trolley which is moved back and forth manually or by a machine, and a series of intermediate trolleys supporting the cable or hose. 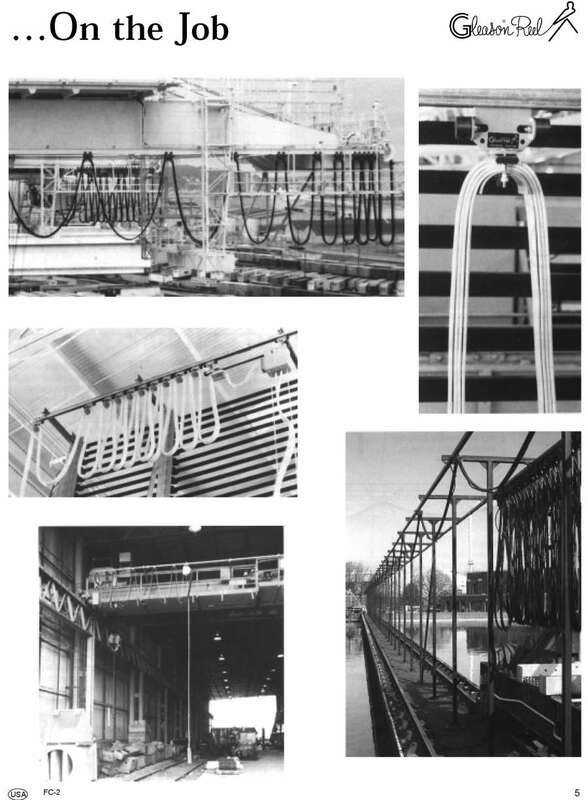 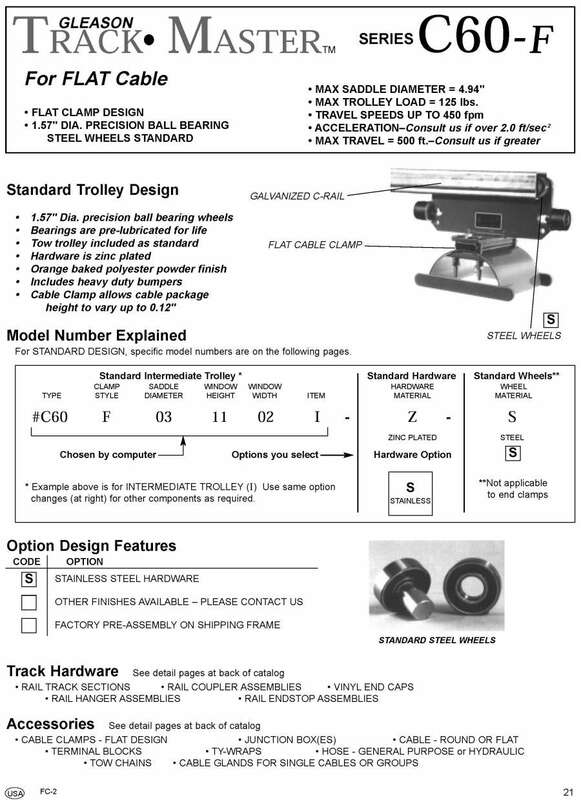 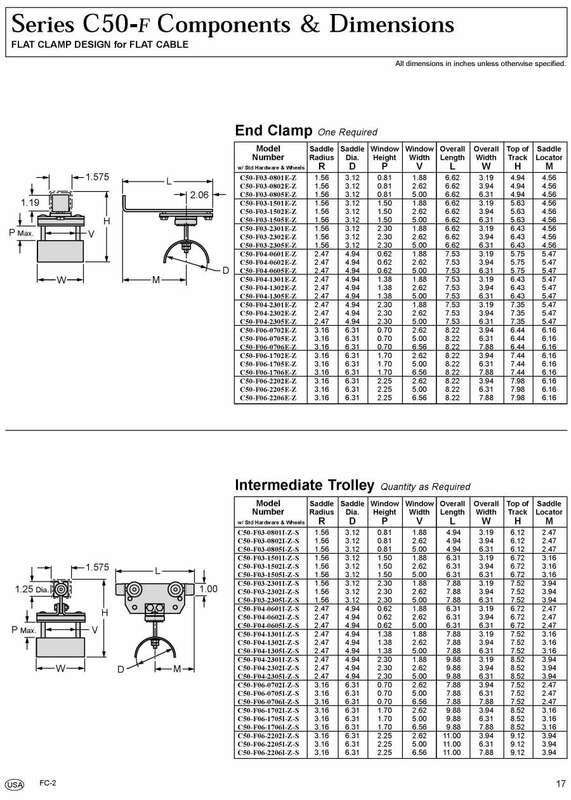 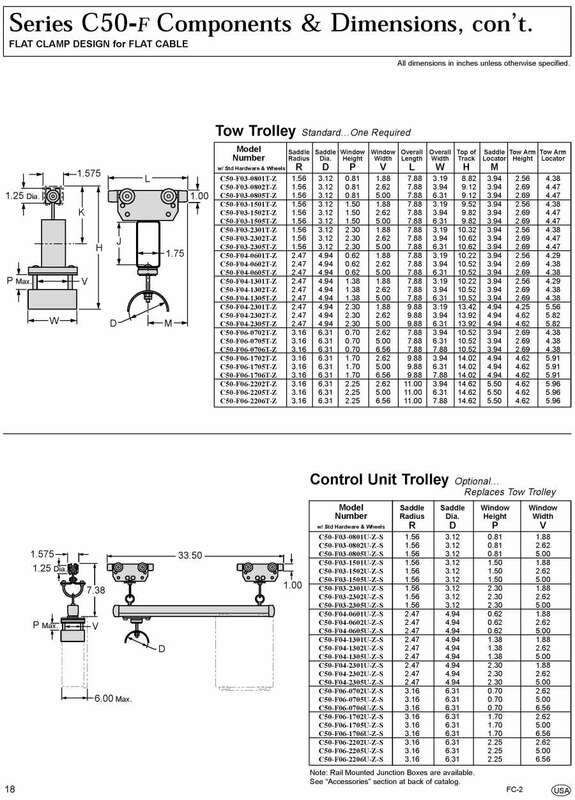 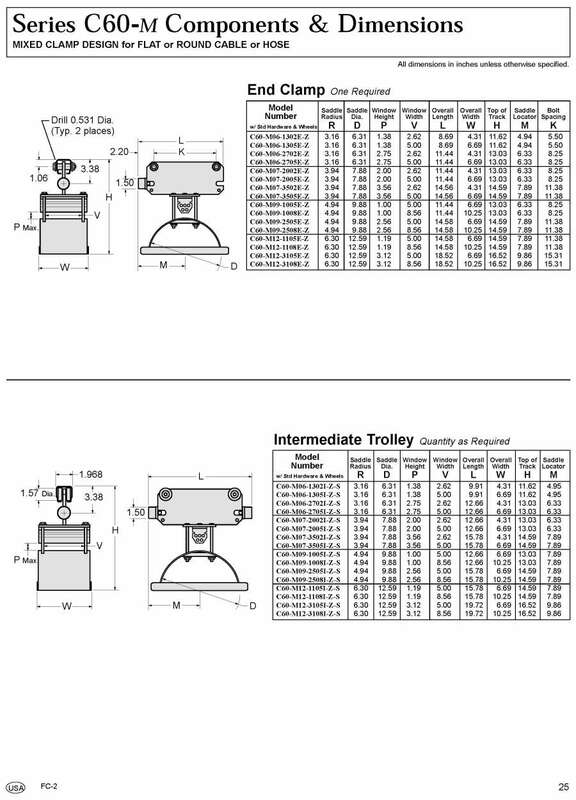 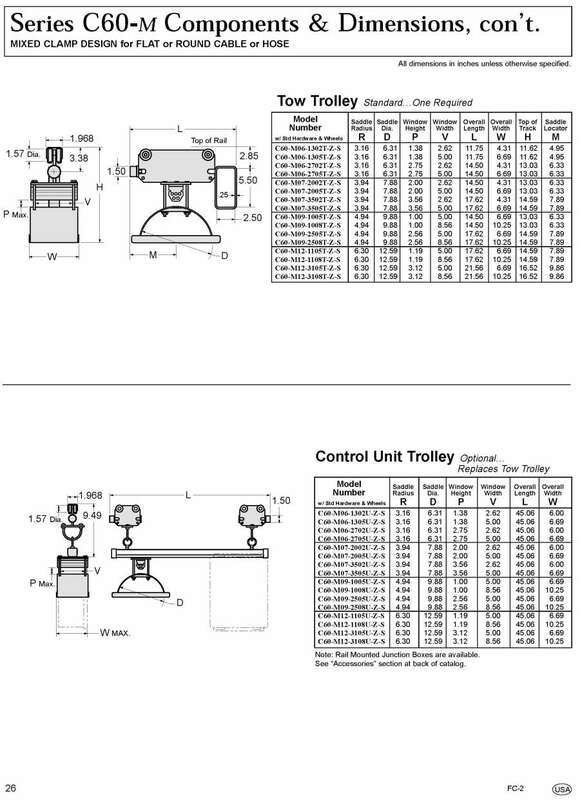 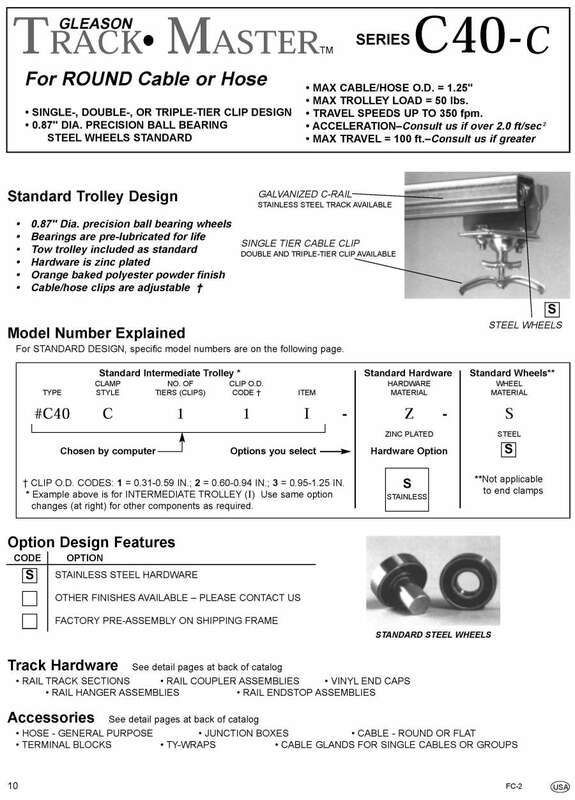 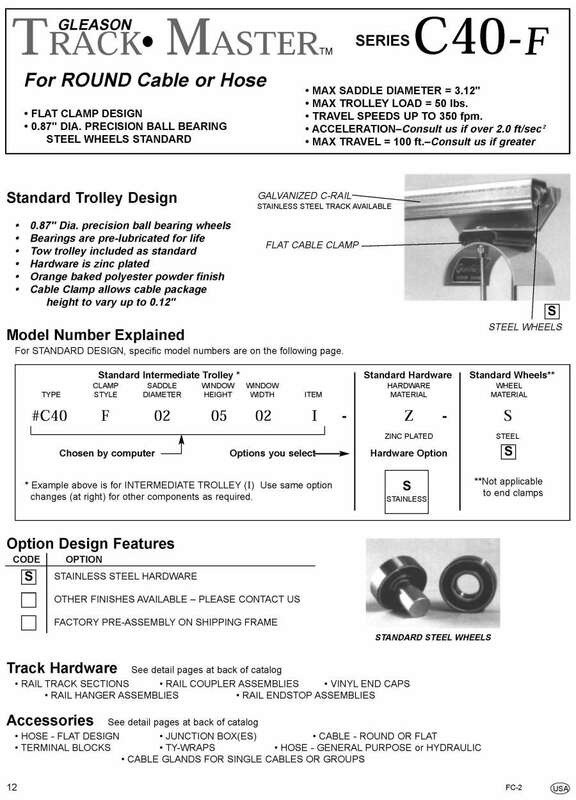 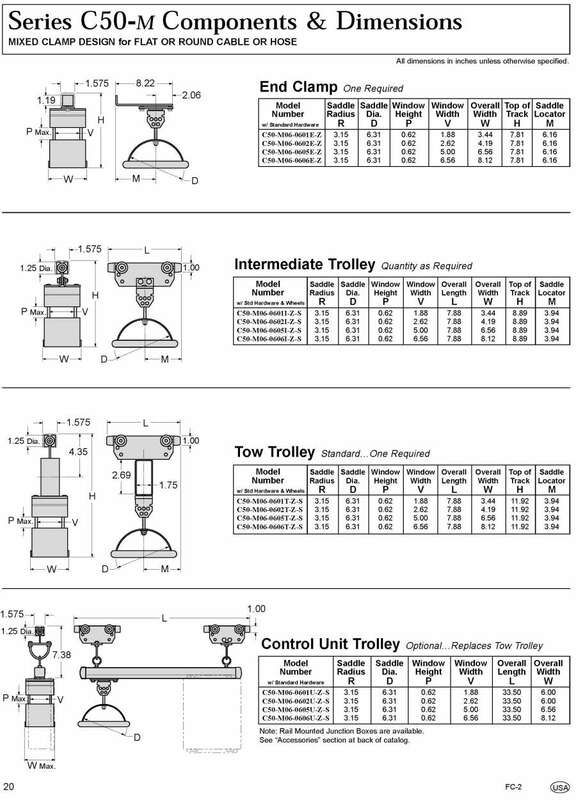 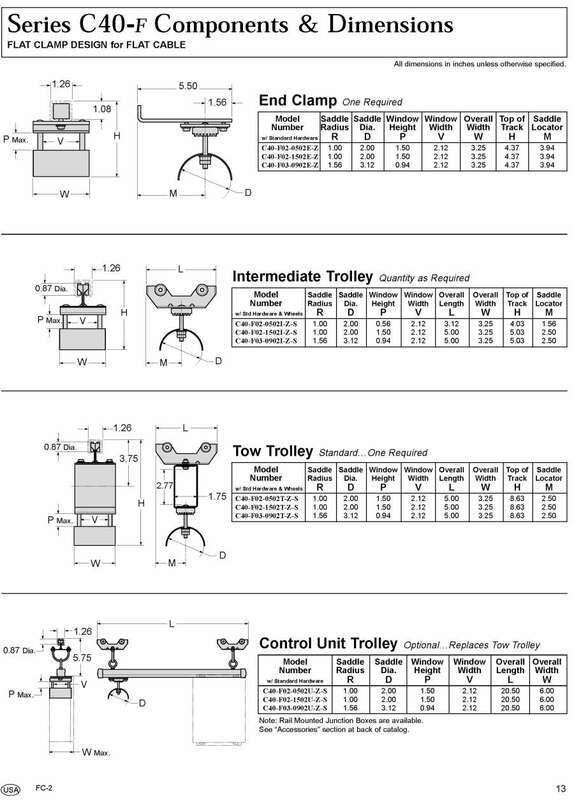 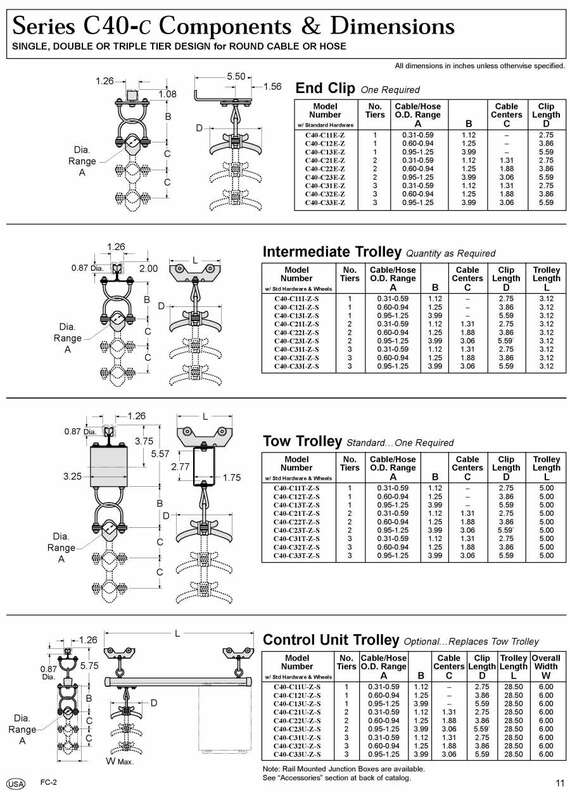 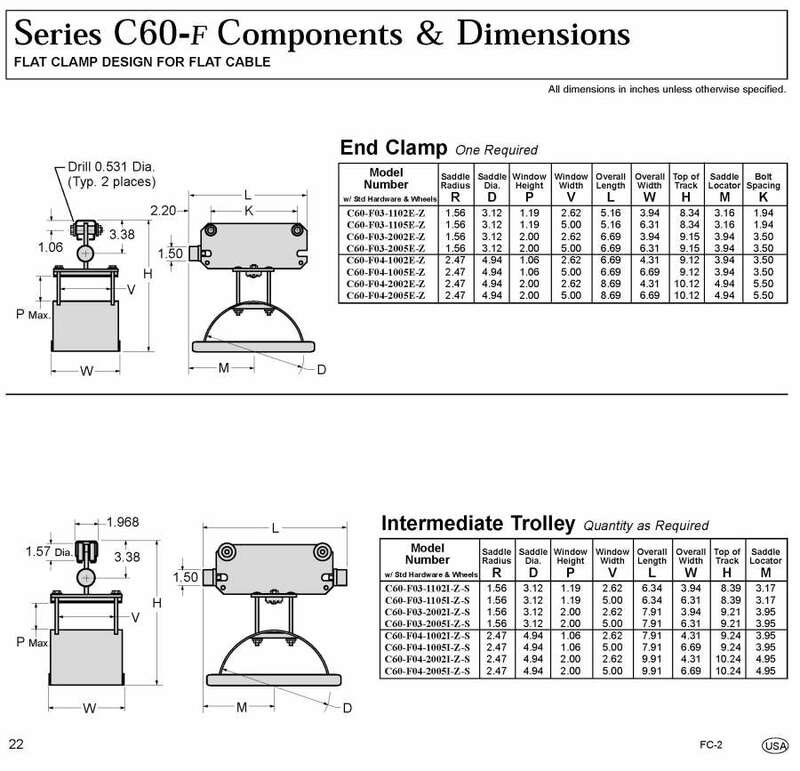 The quantity of intermediate of intermediate trolleys is determined by two factors; the travel distance of the system and the depth of the cable or hose loops. 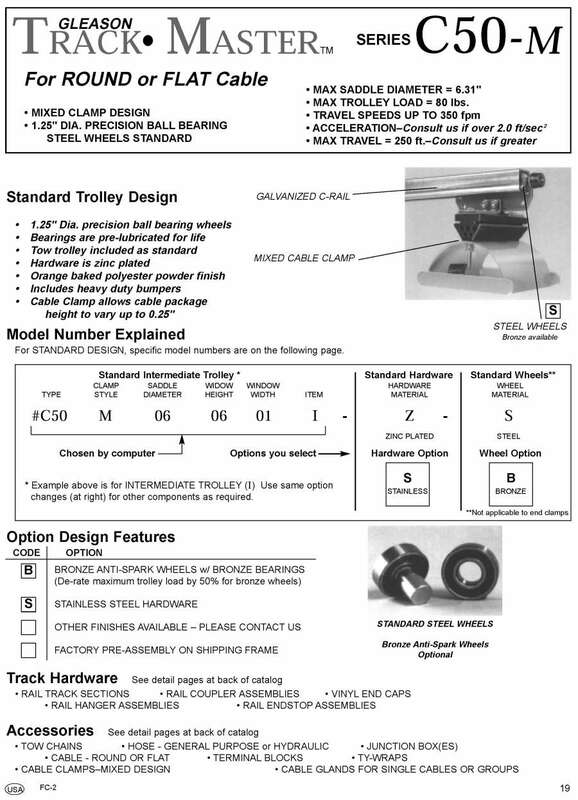 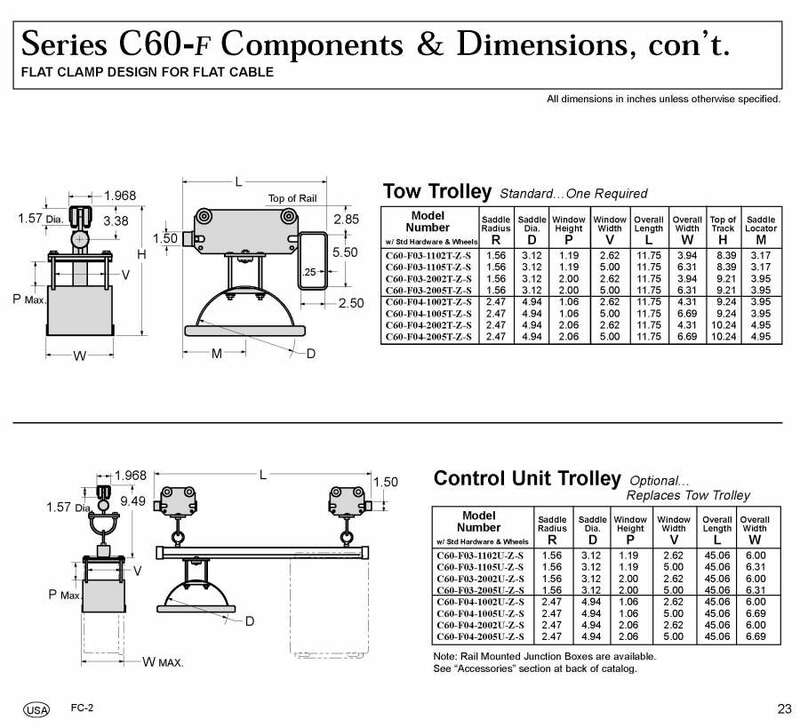 The trolleys roll smoothly in a specially formed "C" shaped track. 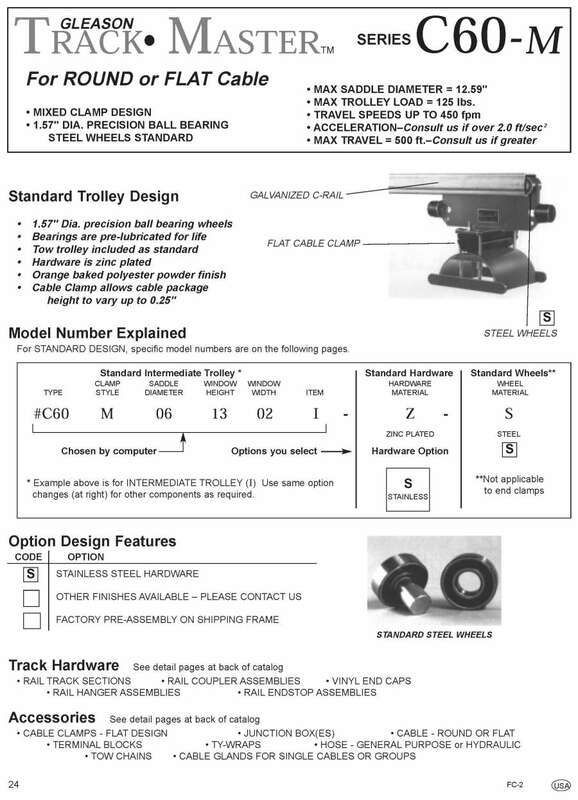 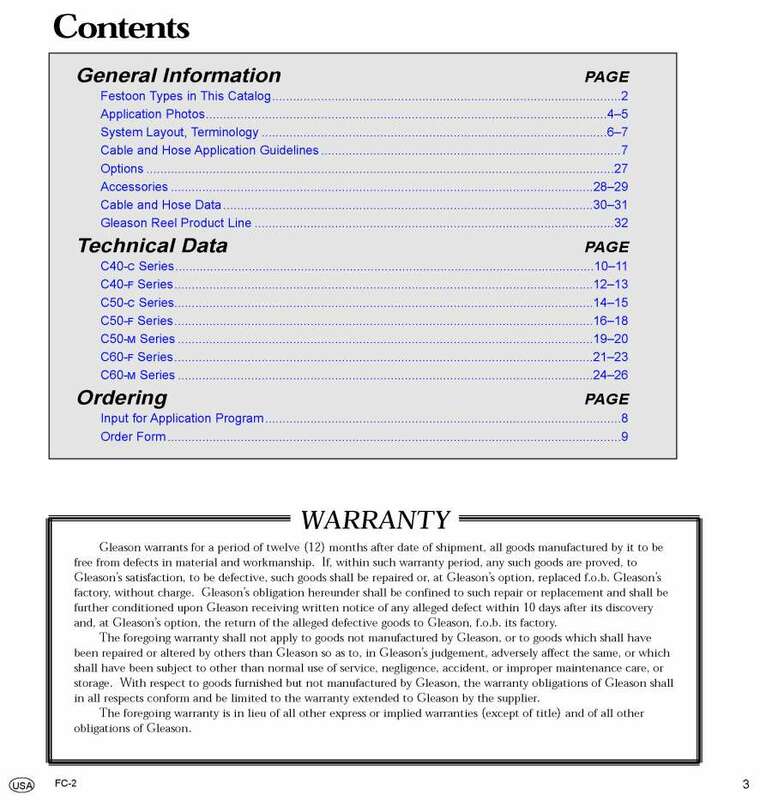 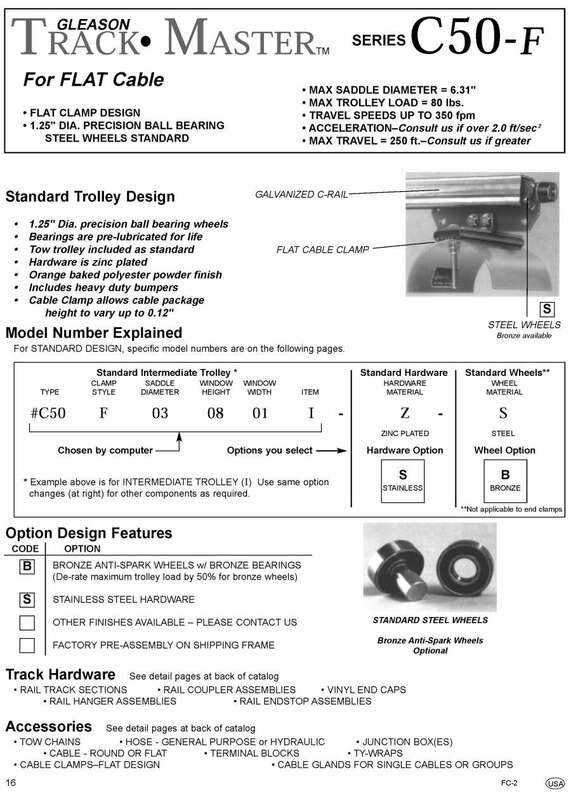 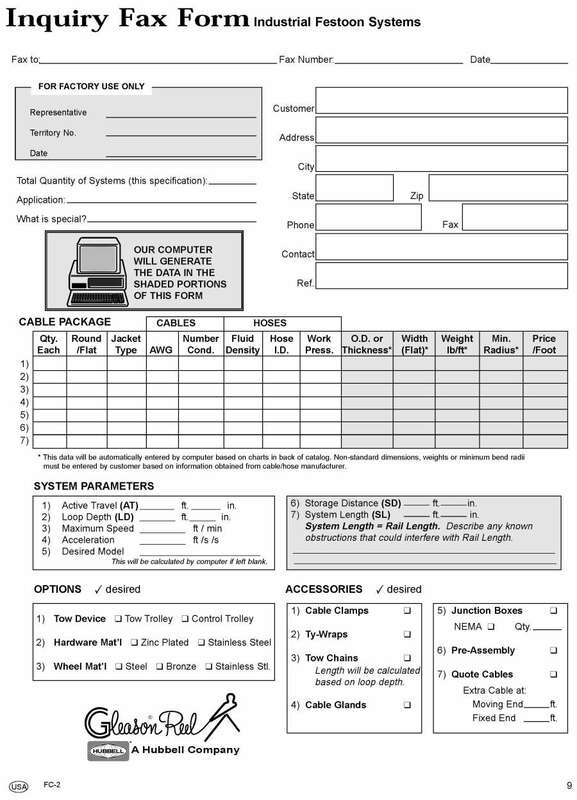 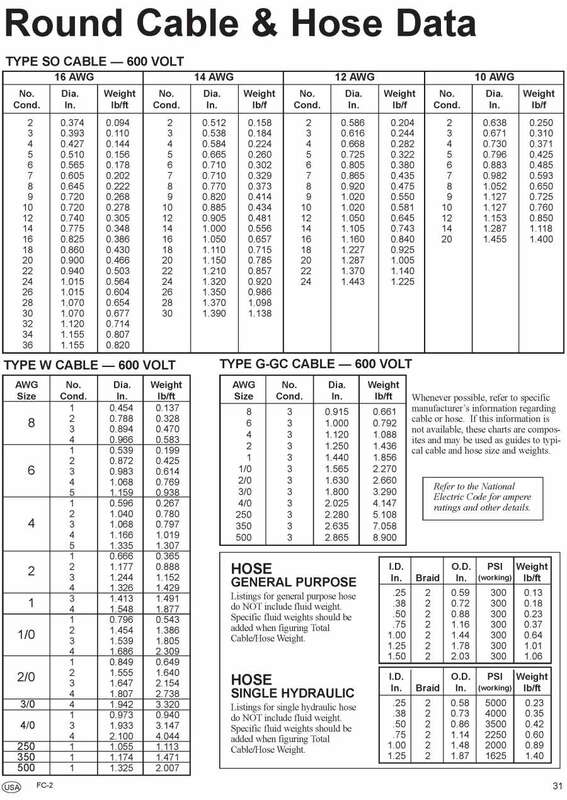 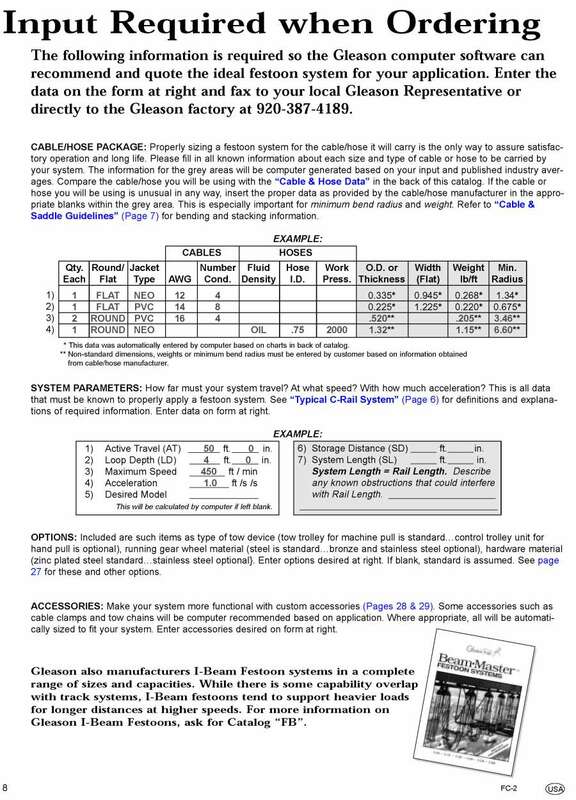 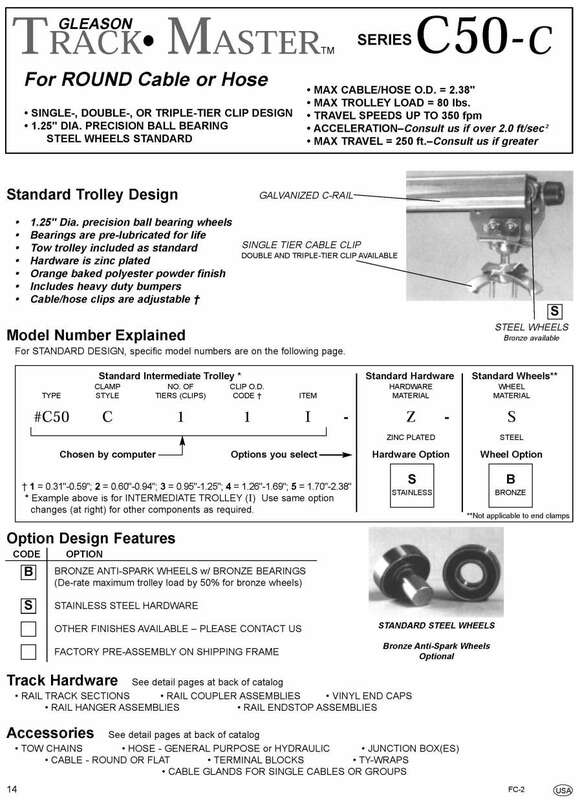 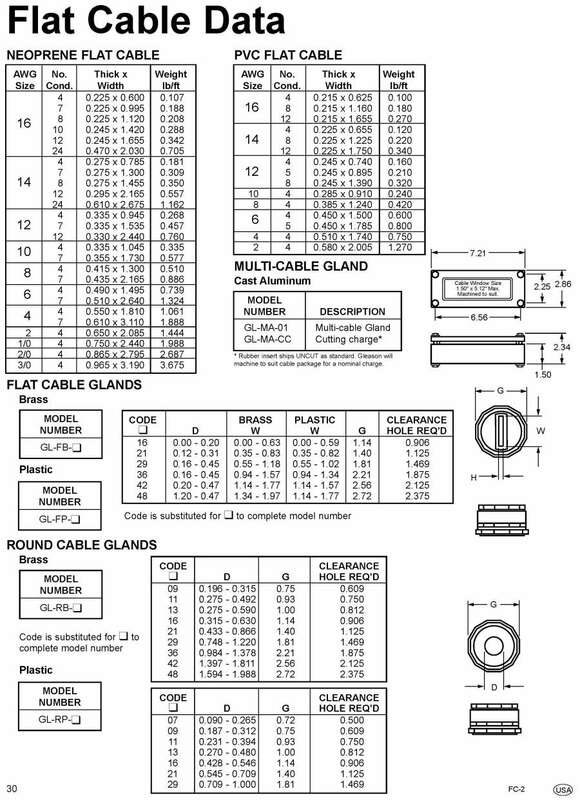 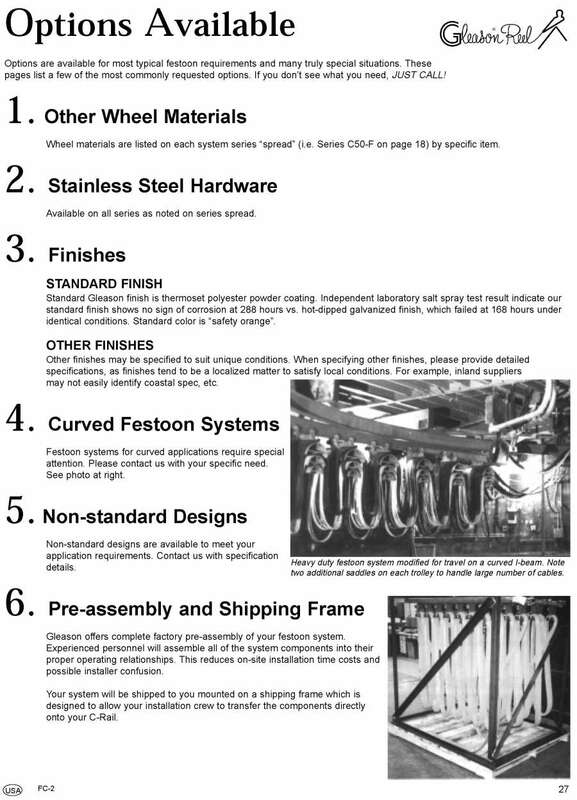 23 = 2 Tiers / Dia Range 0.95 - 1.25"
S = Steel Main Wheels 1.25" Dia.